Rid your home of pesky mosquitoes the safe, fast, and most effective way by taking a quick quiz. Click the button below! First Off, What Is A Mosquito? Mosquitoes, as we commonly know them, are called Culicidae scientifically. Excluding the nuisance factor, mosquitoes are carriers of the deadliest illnesses and can be considered as public enemy number one in the fight against global infectious disease. There are approximately 170 kinds of mosquitoes in North America alone, including the houseflies and fruit flies for they all have two, clear veined wings. They usually measure ¼” to ⅜” and is pale brown in color with whitish stripes across the abdomen. They have six legs and long mouth parts called a proboscis. "Did you know that only female mosquitoes bite and feed on people? That's because they need a blood meal to lay fertile eggs. Most species of mosquitoes breed around the clock, so a female mosquito needs to look for a blood meal every couple of days to lay another batch of filthy mosquito eggs. Suprisingly, both male and female mosquitoes still rely on nectar from flowers for their main energy source." All over the world, there are 3500 different types of mosquitoes. Obviously, it would take forever if I tell you all about them one by one, so I am just going to focus on the most common species found in the United States. This type of mosquito is very common and often found in houses. Their larvae thrive in stagnant water, and they breed in storm drains, puddles, discarded tires, gutters, and even pet dishes that are left with water in it. This type of mosquito usually bites at night. Females lay a large amount of eggs at one time, allowing them to float on top of the water. 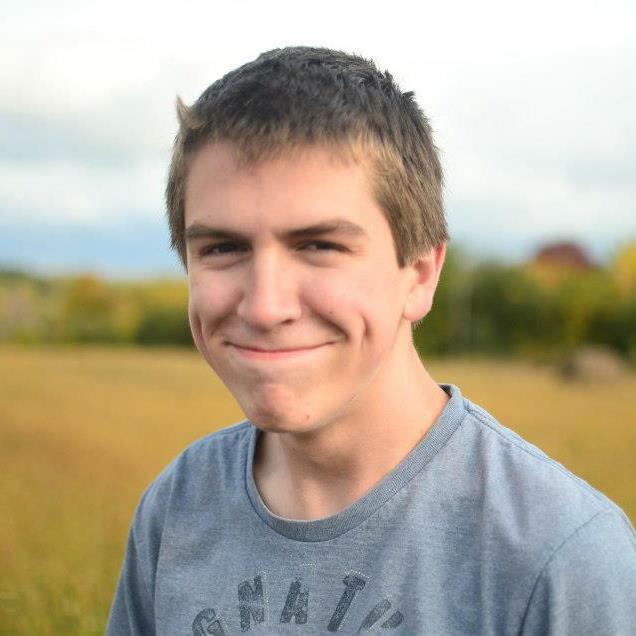 Breeding grounds for this species include stagnant and/or polluted water. Culex Mosquitoes is a carrier of a multiple diseases like St. Louis encephaliti and West Nile Virus, both of which can be fatal. 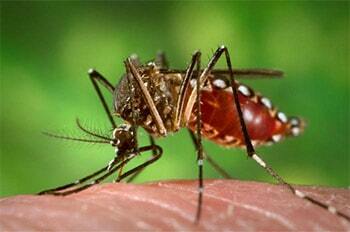 This kind of mosquito is commonly known as the Yellow Fever Mosquito. Back in the 1700s, this mosquito caused thousands of people their lives. They are found in urban areas and they bite throughout the day - they do not choose a time. They reproduce wherever there is temporary nonmotile water. This type of mosquito is also dubbed as the Asian Tiger Mosquito. It has a black and white striped body. They usually propagate in smaller areas such as plant leaves, flower pots, tree holes, bird baths, vases, and buckets and prefer warmer climates. These skeeters attack more during the day. They also multiply faster in warm climates. Aedes mosquitoes can carry the lethal combination of diseases - Yellow Fever, Dengue, and West Nile Virus. Recently, they have also been found to carry Zika Virus. These mosquitoes can survive lgid temperatures, so when adult mosquitoes die during the winter, their eggs will live until spring. That’s why, it’s not only important to get rid of the mosquitoes, but also their eggs. Anopheles is found all over the United States. This kind of mosquito is easy to recognize because of its slanted body. They typically attack at night to dusk and dawn. They can, but very rarely carry Malaria. What Is The Lifespan of A Mosquito? As deadly as these mosquitoes can be, living their lives isn’t easy (And they shouldn’t!). With the constant threat of being zapped, swatted, poisoned by pesticides, and eaten, death can (and should be) upon them at any given moment. Thus, we can safely say that mosquitoes live short lives and (should) die tragic deaths. Mosquitoes, regardless of gender, from the moment they emerge from the cocoon, only have two missions in life: to eat and to reproduce. After 2 weeks or 14 days, they are already on the hunt for a mate. A important as it is to cross out mating on a mosquito’s to-do list, male mosquitoes have to wait for nearly a day to pass for their reproductive organs to fully develop. While they wait, they feed on nectar. Do you know how male mosquitoes look for a “date”? They keep their ears open for female mosquitoes’ beating wings which ranges from 250 to 500 beats per minute. So much for Tinder, huh? Once the mosquitoes get together and the female mosquito is fertilized, the mosquito life cycle begins and the male mosquito’s job is done. Sadly, the male mosquito usually only lives for three to five more days and can be shorter if he’s killed or eaten. Female mosquitoes, on the other hand, only tend to mate once in their life, but they do live aconsiderably longer lives that the opposite gender. Their life span depends on the moisture in the environment and warmth, but they can live for as long as a month or two when in ideal conditions. Within that span of time, female mosquitoes lay eggs every three days. A mosquito’s life cycle is extremely dependent on water temperature (the ideal temperature for them is 75 to 80 degrees). A mosquito can go through its life cycle very quickly, within 4 to 14 days, with the ideal living conditions. 8 out of 10 who contracted the West Nile virus did not develop any symptoms. 1 in 5 people developed fever with headache, joint pains, body aches, vomiting, rash, or diarrhea. Most people with these symptoms recover well, but the symptoms can last for weeks or months. 1 in 150 people infected with this virus develop serious illness like encephalitis or meningitis, both of which can affect the central nervous system. Dengue hemorrhagic fever manifests through these principal symptoms: a high fever with at least two of the following: joint pain, severe headache, severe eye pain, rash, muscle and/or bone pain, mild bleeding (nose or gum bleeding, petechiae, or easy bruising), and low white cell count. If any of these symptoms are experienced, a possible dengue patient MUST IMMEDIATELY go to an emergency room or the nearest health care provider. Yellow fever symptoms take about three to six days to develop. It may include fever, chills, headache, backache, and muscle aches. 15% of people who contract yellow fever develop serious illness that can progress to organ failure, shock, bleeding, and even death. Eliminating mosquitoes and their eggs is of utmost importance because lives literally depend on it. Water is necessary for mosquito eggs to hatch into larvae, called wigglers. Stagnant water has organic matter that wigglers feed on and they breathe oxygen from the surface. From this stagem they develop into pupae, which do not feed and partially enclosed in cocoons. In a span of several days, the pupae turn into adult mosquitoes. So, make sure that there is no stagnant water in your house vicinity. Keep your house and nearby areas clean and clear. Mosquitoes like procreating in dark places with a lot of places to live. For some reason, mosquitoes are more attracted to dark clothing like black, dark blue, and red. These mosquitoes are not welcome, but they boldly use the door to enter our households. Using oscillating fans is a proven method because it blows away mosquitoes. The quickest way to eliminate a mosquito is to kill it right away. Do not give it a chance to live another day. If the problem persists, it might be time to use pest repellents like sprays, zappers, or foggers. What Are The Best Mosquito Killers & Repellents? When my wife forced to me make a ½ acre fish pond in the yard (which I have no choice but to agree) I had no idea I was basically calling for a one big summer outing for these critters. So, I had to research for over 100 hours to find the best mosquito killer (plus the hours of testing I forgot to count) – again, I had to do the work ALL by myself. Feel free to knock yourselves out! These are the best mosquito killers and repellents I've found. Mosquito sprays are a household staple because it can easily kill mosquitoes and keep their numbers at bay, at least temporarily. Use this in places where you think mosquitoes inhabit or directly to the flying monstrosities. I strongly advise that you leave the premises after using this because mosquito sprays contain poisonous chemicals. 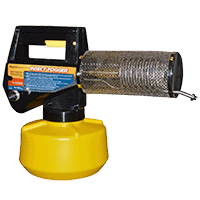 Propane mosquito fogger is the monstrou version of mosquito spray. It is a thermal device that vaporizes the insecticide. Meaning, you put in the insecticide as liquid and it will be released as a fog. In order to do this, the fogger must be heated to high temperatures, so it is advisable that only professionals do this. 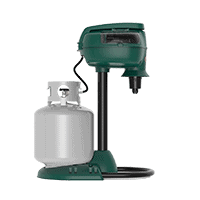 Propane mosquito traps work like mosquito magnets. However, the source of carbon dioxide is propane. How? Propane has carbon and hydrogen. So once you burn it, you get carbon dioxide and water vapor as a result. Ever see those lamp-like things in some homes or outdoors? Yes, those are mosquito traps. Mosquito traps are designed to attract mosquitoes (and other insects) by imitating human breath. Once mosquitoes are lured, they are trapped and stay there until they die of dehydration or drowning. Ever see those lamp-like things that make an occasional zapping sound? Yep, those are mosquito zappers. Mosquito zappers lure insects that are attracted to light. If they try to get to it, they will pass through an electrical grid where they die through electrocution. Tough way to go, huh? Mosquito bits are a blend of natural insecticide. However, they only address the larvae by tossing a donut-shaped dunk into the water where the larvae live. Over the next 30 days, it will dissolve and kill them off. 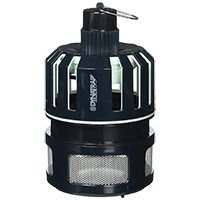 Mosquito Magnet is a device that releases a continuous stream of carbon dioxide and a scientifically-formulated mosquito attractant. Once mosquitoes draw close to the Mosquito magnet, they will then be vacuumed into a net where they will grow dehydrated and eventually die. A little DIY and experiment won't hurt. 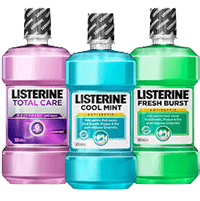 We tried weird concoctions here, like listerine! ​We all hate mosquitoes as they some of the hardest pests to get rid of. Mosquitoes are virtually everywhere during the summer months, they spread disease and cause relentless itching. Even with the proper repellant, you can never actually completely stop mosquitoes from biting you. So, I've decided to write this article about some of the most important to know facts about mosquitoes! Having lived in tropical countries like The Philippines, Cambodia, and Vietnam, Brian knows how infuriating it is to be peppered with mosquito bites and swarmed with flying cockroaches. Read more about Brian's (and his co-author's) war with the mosquito race and other six-legged flying atrocities here or join him in the battle with the proven guide/s below. Insect Hobbyist participates in the Amazon Services LLC Associates Program, an affiliate advertising program designed to provide a means for sites to earn advertising fees by advertising and linking to Amazon.com. Amazon and the Amazon logo are trademarks of Amazon.com, Inc. or its affiliates. © InsectHobbyist.com, 2019. Unauthorized use and/or duplication of this material without express and written permission from this blog’s author and/or owner is strictly prohibited. Excerpts and links may be used, provided that full and clear credit is given to InsectHobbyist.com with appropriate and specific direction to the original content.